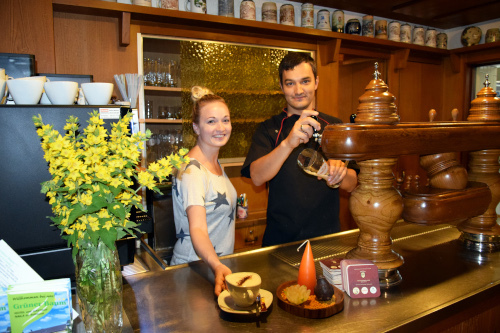 Our restaurant „Grüner Baum“ in Naila has a long tradition. 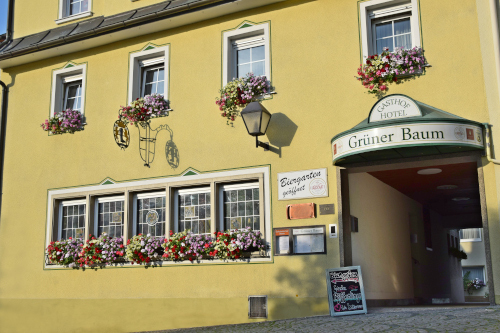 Before 1803 it was called “Bamberger Hof” or “Bambergisches Wirtshaus”. The house is assumed to be the home of the Hagen family (mentioned in 1502 for the first time) but does not really deserve this name fully. It came into possession of the family after the 30-year-war. In 1576, a certain Jorg Weber had been given it as a vassal by Ludwig von Wildenstein, who received it for his part of the Bishop of Bamberg. Johann Georg Hagen (1632 – 1683) was the first of the Hagen family who managed the property after his marriage in 1660. After his death, it was taken on by the tenant Willhelm Heinrich Stephel. The next owner within the family was Wolf Adam Hagen (1679 – 1747). He was the son of above mentioned Johann Georg Hagen. It is assumed that Wolf Adam Hagen sold the Bamberger Hof around 1724. Before, it was owned by Johann Adam Hagen (1674 – 1734).